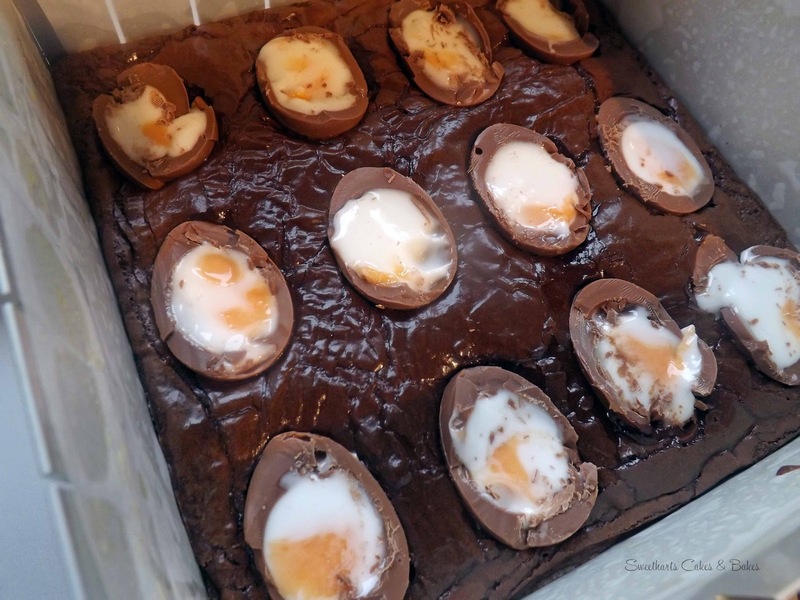 With Easter having just passed, you may or may not have seen the creme egg brownie floating about on Facebook. For those of you unfortunate enough not to have tried the Creme Egg Brownie, we at Scrummy Yummy have done all the hard work for you. Yes that’s right; we laboriously licked the mixing bowl clean, waited the agonising 20 minutes for them to cool, and forced down that gooey goodness (all 16 helpings!). The Creme Egg Brownie is… well, exactly what you expect it to be. A brownie with a Creme Egg squashed into the middle. It’s a gooey mess that tastes as good, as it looks bad. Overloaded with sugar, eating a Creme Egg Brownie is a pleasure that can quickly turn into nausea if overindulged in. It’s requires considerable willpower but if you can walk that fine line, the Creme Egg Brownie is a seasonal delicacy. The Creme Egg Brownie is a great treat not just for the Easter Holidays but for any time of year. It’s cheap and easy to make and takes no time at all to make. With the kids off school, it’s a great project to get them involved in and an opportunity for some good quality family time.